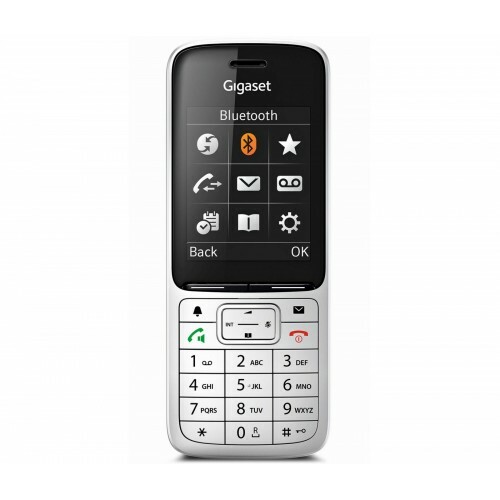 The Gigaset SL450A Twin GO is latest set of top-class cordless phones from Gigaset. 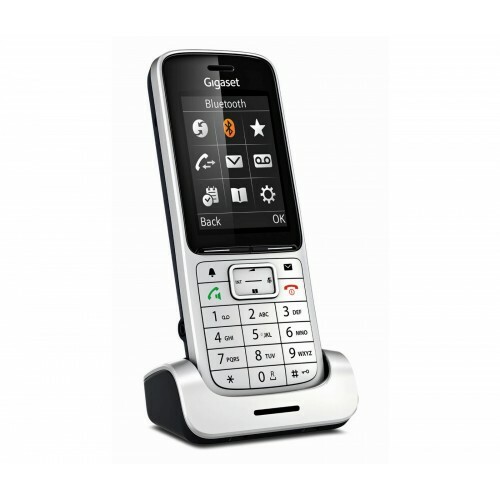 Boasting a stylish genuine metal frame and cradle, large colour display, and future-proof technology, this is one of the most advanced DECT phones on the market. Designed for both landline and VoIP and featuring Smartphone integration, the SL450A is ideal for home and office use and now comes with a top-class wireless headset from Jabra – the C565 DG – so that you can experience a better sound quality handsfree. Experience better calls with the Gigaset SL450A GO Twin thanks to integrated HDSP for crystal clear sound quality whether you’re connected to landline or VoIP. And with a dependable range of up to 50 metres indoors and up to 300 metres outdoors, you’ll be able to enjoy HD sound on your phone throughout your home or office. 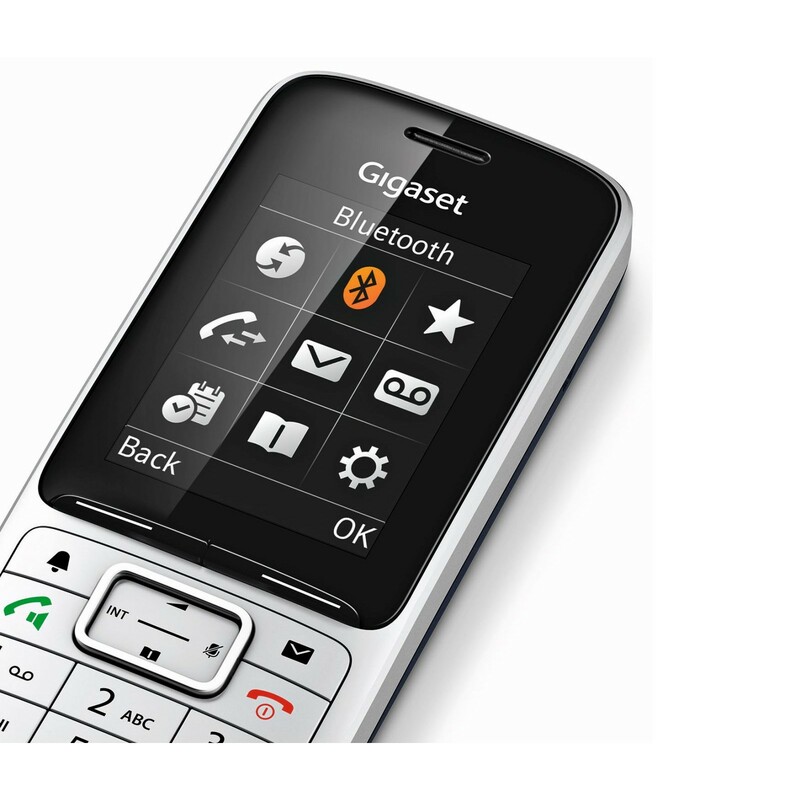 Designed to make upgrading your cordless phone easier, the Gigaset GO features enable you to transfer contacts from your Smartphone seamlessly via the intuitive Contacts Push app (available for iOS and Android). 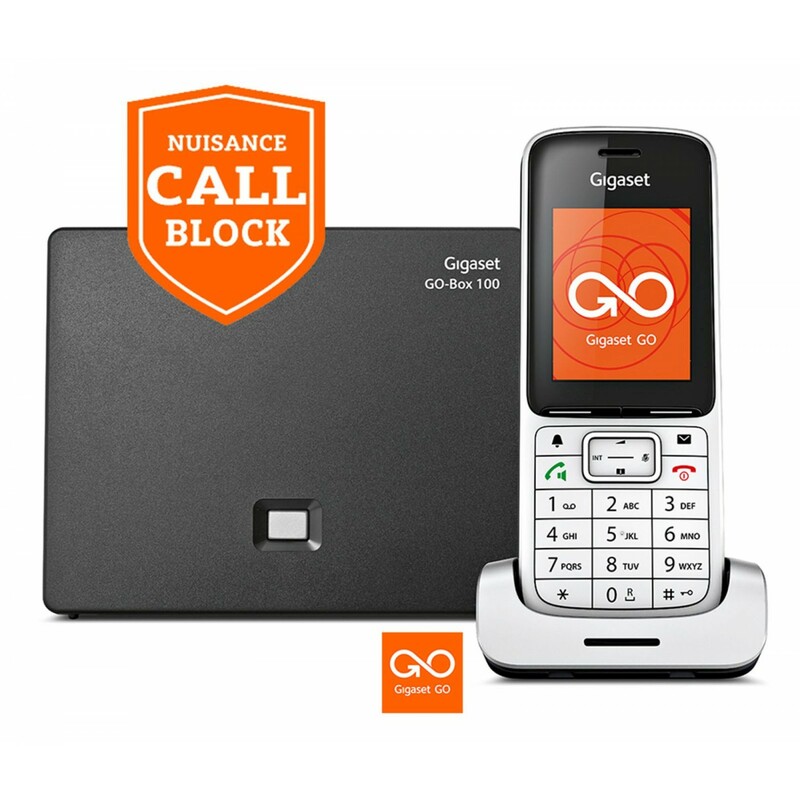 And with Gigaset GO you can also set-up notifications on your smartphone for missed calls and voicemails on your SL450A Twin. 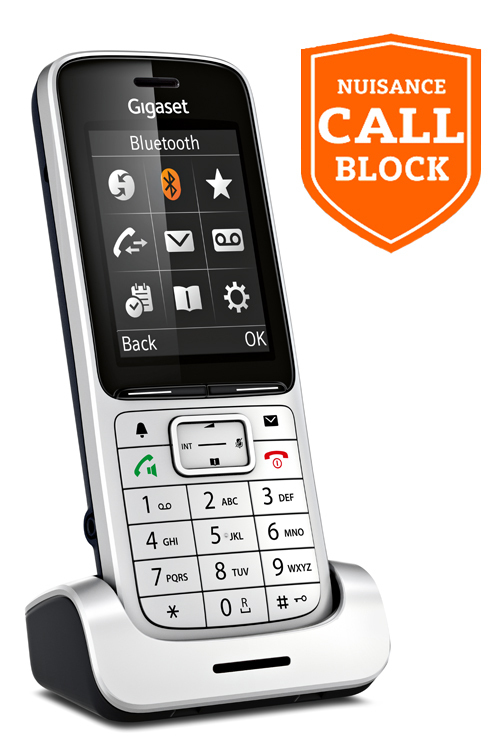 Take advantage of additional features when you have more than one handset. 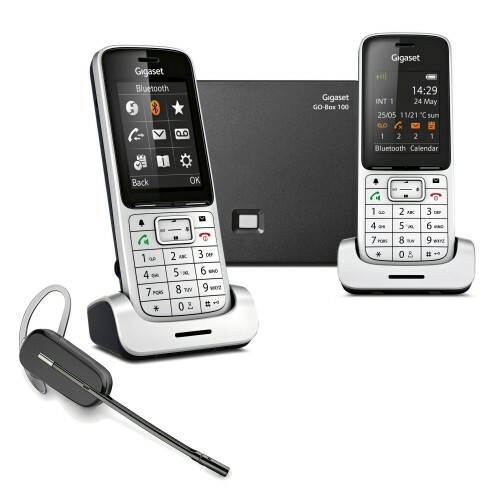 With the SL450A Twin you’ll be able to use the handsets to intercom, transfer calls, and conference. 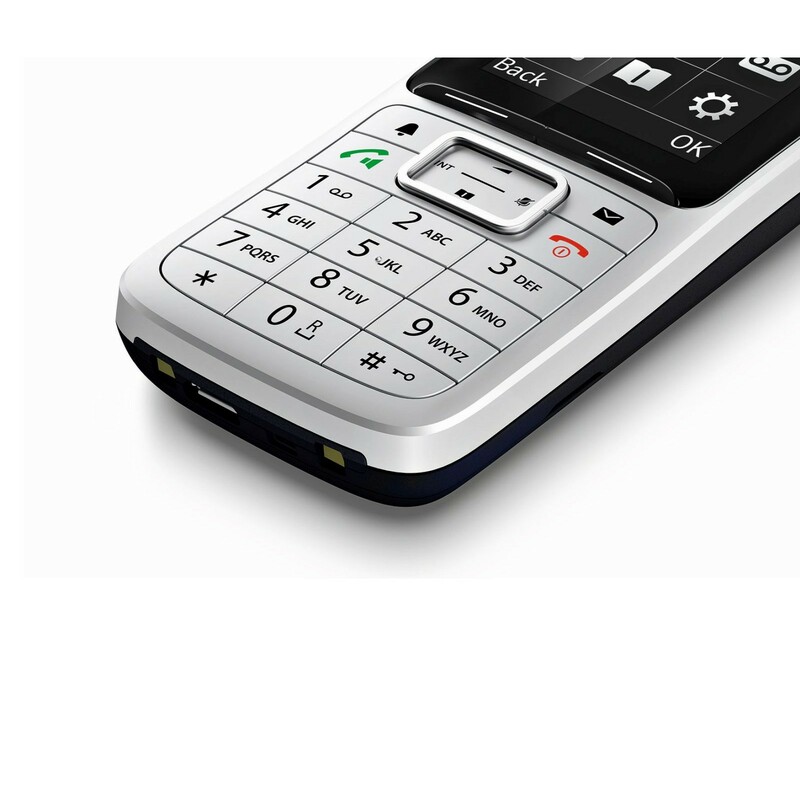 As the wireless headset will be registered as an additional handset you’ll be able to call it internally and/or transfer calls to it from one of the handsets.